Wheel spacers widen your car’s track. That is, the larger the spacers, the wider your car becomes. Spacers are simple components, mounted between the wheel and the wheel hub. Simply put, they space the wheel away from the center of your car, lowering the wheel offset. Remember, the lower the offset, the further your wheels sit from where they are mounted to your hubs. For this reason, they are sometimes called “hub spacers” as well. Without spacers, some aftermarket 350z rims can sit too far inwards, and they may be too close to fit over your brake calipers, rub on your suspension or something else. The bolts in the wheel spacers match up with the holes on the wheel hub, and studs help secure the spacers to the wheels. You’ll want to use wheel spacers to avoid your larger wheels and tires rubbing up against your suspension components. Wheel spacers can also help your wheels to fit over big brake calipers. If you have some aftermarket wheels installed with too higher offset or the wrong backspacing, wheel spacers will help fix your problem. Are 350z Wheel Spacers Good or Bad? The obvious benefit of wheel spacers is allowing wheels that otherwise can’t fit to your Z car, to fit without rubbing or interfering with your brake calipers. They can also give your car better handling, traction, and grip, especially when cornering. Your car will feel more stable and planted. If you want to go for that “perfect wheel fitment” look, spacers can help you to get flush wheels without having to buy a new set every time. Don’t let this happen to you! Make sure your studs and bolts are correctly torqued. Properly installed wheel spacers are safe, but improperly installed spacers are not. 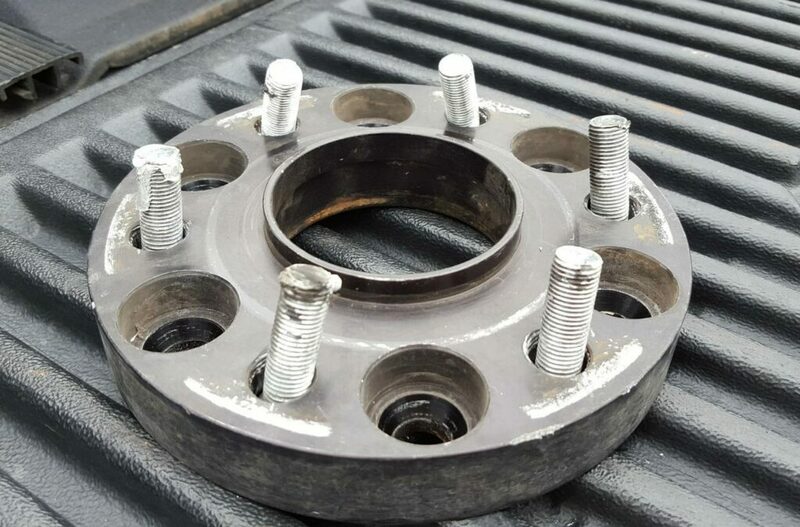 To stay safe, you should re-torque (tighten) the bolts on your spacers every 5,000 miles to make sure they don’t become loose, otherwise you run the risk of bending a wheel stud or losing a wheel. 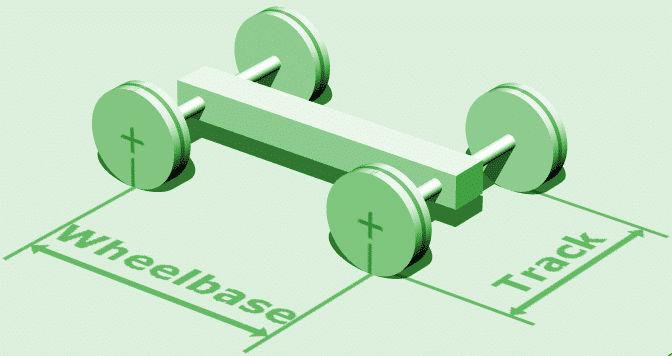 The further your wheels sit away from where Nissan intended, the harder your hub bearings have to work. This can mean more maintenance and needing to replace them more often. If you’re going with an extremely low offset wheel and spacer set up, your steering can become heavier, meaning you need to use more muscle to steer, though many 350z owners like this feel. What Difference Will They Make to My Car’s Appearance? Wheels that sit at the edge of your 350z’s body give the car a better “stance,” making your car look more aggressive on the road. Generally, the wider your car, the cooler it looks. Auto manufacturers have been doing this for years. But unless you’re going with aftermarket fenders, it’s important to remember there is a limit. Spacers that make your wheels sit too far out of your fenders can an odd appearance. Photos speak a thousand words! Here’s an example of a Nissan 350z on stock wheels with 20mm spacers up front, and 25mm spacers on the rear. What are Hub Centric Spacers? 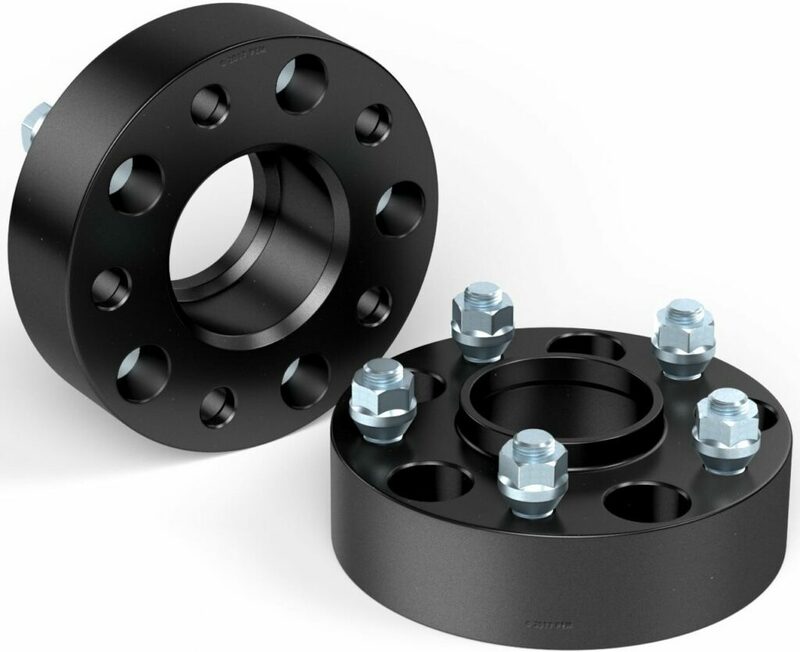 Hub centric wheel spacers make the wheel fit snugly against the hub, which provides support along the wheel lugs. With “normal,” or lug centric designs, the wheel lugs center and support the wheel with no support from the hub, because of a natural gap. Here’s a link with pictures to show you the difference. Back when wheel spacers were a new thing, you’d pay a massive premium for hub centric spacers. Thankfully today, they’re available at a cheap price. 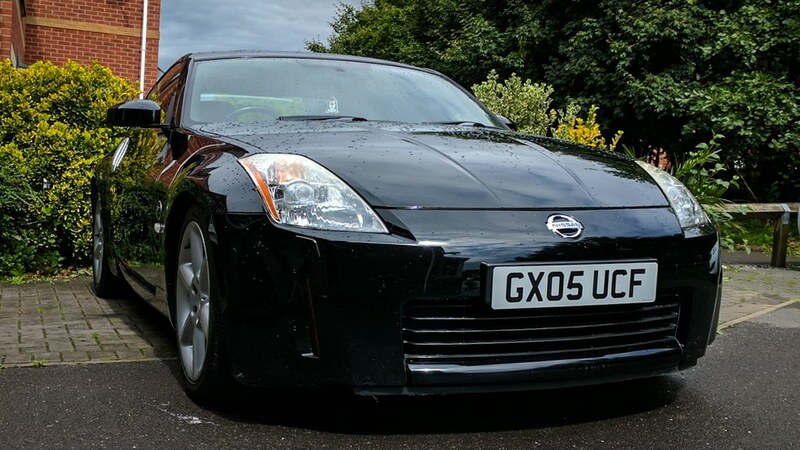 Can I Use Lug Centric Spacers on My Nissan 350z? Lug centric spacers are the cheapest wheel spacers you’ll find for a Nissan 350z, but that comes at a price – which is that they can cause more wear and tear on your car. In addition to this, more weight on your wheel studs can mean increased vibration through your car. In our view, it isn’t a smart decision to cheap out on such an inexpensive part. With that said, many people have ran lug centric spacers for years without issue. What’s the Purpose of Various Sized Spacers? 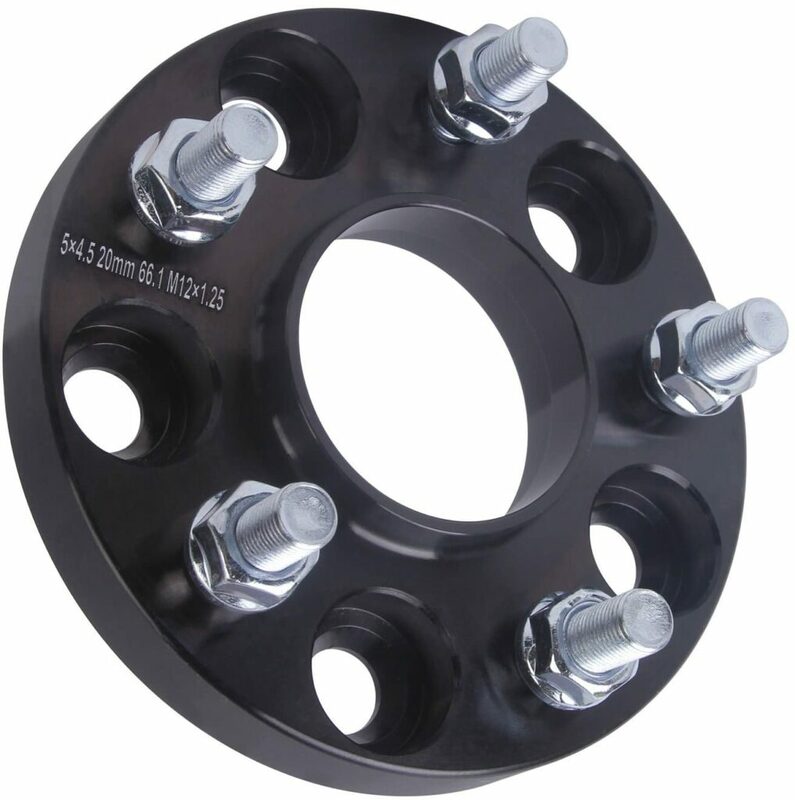 Wheel spacers come in various sizes because every scenario is different. Sometimes you need thin spacers to make a small adjustment to near perfect wheels. Other times, like when setting up OEM 350z wheels, you need large spacers to move them outwards. For this reason, wheel spacers greatly vary in widths, from around 5mm (about 1/5th of an inch), up to 50mm (two inches). You can find others, but at some point you’ll need to ask yourself if it’s spacers you need or new wheels. The wider your spacers, the lower your wheel offset. 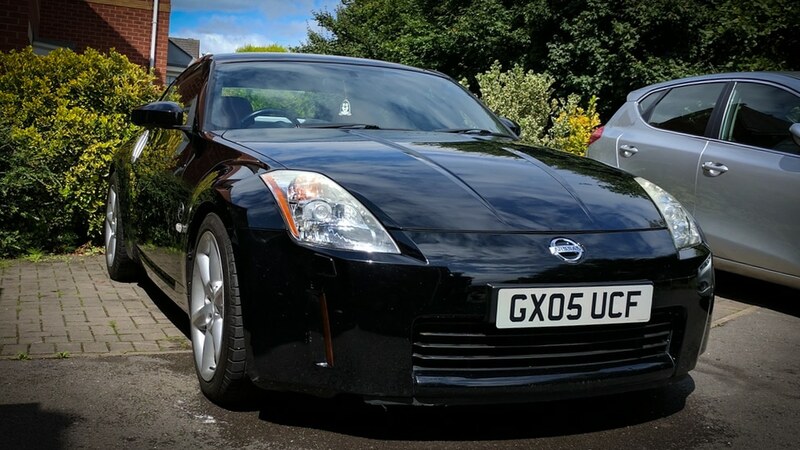 What Size Wheel Spacers for My Nissan 350z? Say you currently have the standard 350z Base 17×7.5” wheels with a 30mm offset, but you want to upgrade to the Touring 18×8” +30mm wheels and you want them to sit flush. Whether or not you have lowering springs or coilovers comes into play here, but to keep things simplel let’s assume you’re running standard suspension. With an 18×8″ wheel, you’ll want around +5mm offset up front, and -15mm on the rear. So with your 18×8″ +30mm wheels, you need 25mm spacers for the front wheels, and 45mm wheel spacers for the rear. Here’s a calculator that can help you with offset and spacing. For 350z wheel spacers, we’ll be focusing on 15-50mm spacers, because those are the sizes you will typically need to get the best wheel offset for your Nissan 350z. While you’ll see Japanese tuning houses and name brand manufacturers producing spacers, we’re covering cheap 350z wheel spacers in this article, as this is one of those rare occasions that almost all of the cheap options are high enough quality for most of us. Important note: since the 350z’s bolt pattern is 5×114.3, only 5×114.3 wheel spacers are compatible with your car. The most common type of wheel spacers used for 350z’s are hub centric. 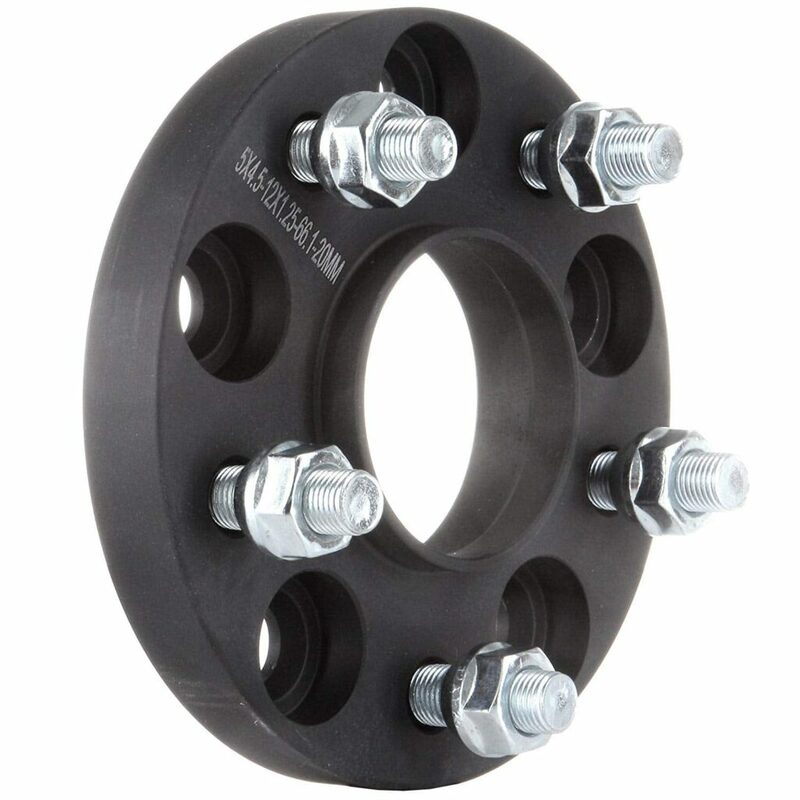 They’re designed to make sure the weight of the car is carried evenly on the hub instead of on your wheel studs. 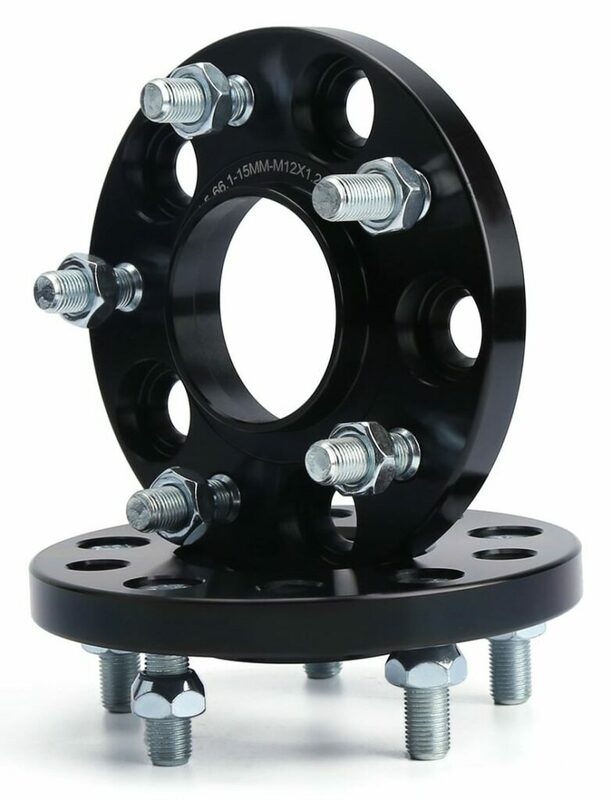 They are machined in a way that helps them to sit perfectly between your 350z’s wheel and hub, with a locating ring on the hub side that is the exact same size as the hub. What this means is, your wheels are perfectly centered to your Nissan 350z’s wheel hubs. There’s no movement and no vibration through the wheels, meaning a nicer ride, and a lot less stress on your wheel studs. Below you’ll find some of the best wheel spacers for 350z owners. 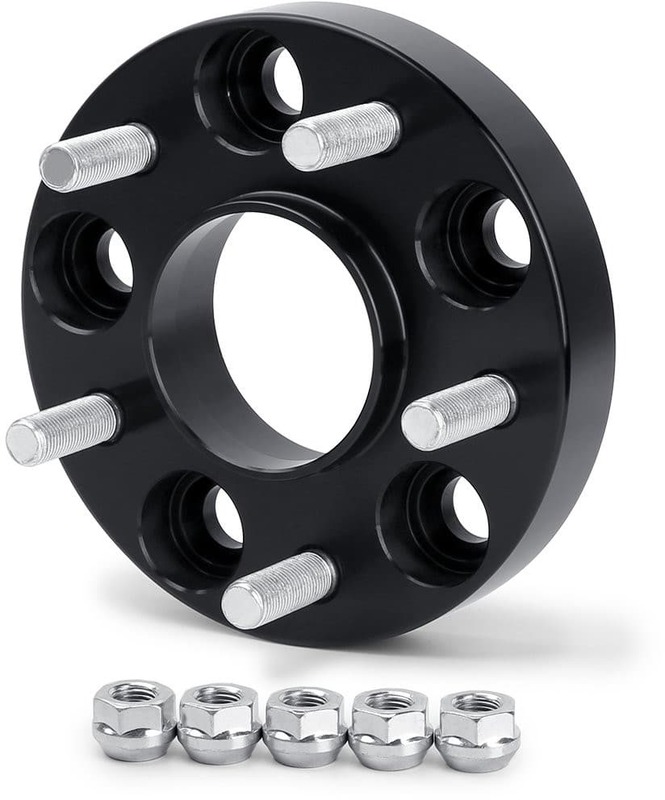 These 15mm wheel spacers for the 350z come with a two-year warranty and a claimed “revolutionary design,” where these spacers fit perfectly over your hub and eliminate all vibrations. Buyers of KSP’s spacers praise their quality, easy installation, and the fact that the company’s “no noise, no vibration” promise is true. Stripped threads are rare but have happened. KSP are a responsive business who immediately send new replacements when this happens. It’s a blessing and a curse but these spacers have long studs. This is good as you’ll almost always be able to fit your wheels, but depending on your setup you might want or need to trim them down with a grinder. StanceMagic’s hub centric spacers come in either 25mm or 50mm for your 350z, which is almost exactly an inch and two inches in thickness, respectively. This makes them a good option if you’re looking to get your 18×8″ +30mm Nissan 350z Touring wheels to fit a bit nicer in the guards. These are sold with an anodized black coating with the benefit of making them less obvious than uncoated spacers. They are solid spacers that will give you an aggressive stance, great wheel balance and minimal vibration. Dynofit’s forged aluminum spacers come with a two-year warranty. Their ½-inch size means they probably aren’t the best combination for stock wheels though (unless you’re looking for more conservative fitment). They can be helpful for getting aftermarket wheels that already have lower offsets to fit a bit better. They’re still very strong and reliable, but being made from aluminium we’d definitely recommend using a torque wrench when tightening your lug nuts. These billet aluminium spacers will make sure to eliminate any shaking from your wheels, as long as you remember torque them down well, and regularly. Even after a few thousand miles, you shouldn’t feel any vibrations. 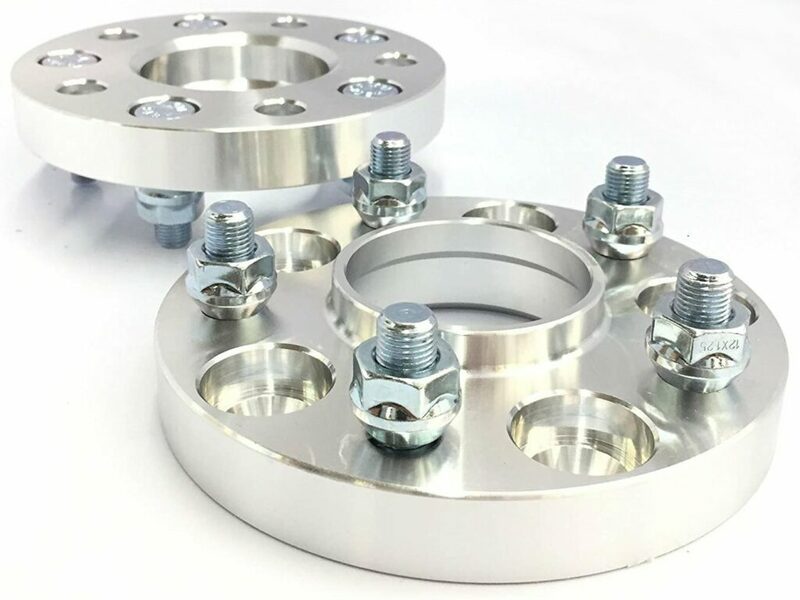 Like most of the others here, ECCPP’s 15mm, 20mm and 25mm 350z wheel spacers are built of lightweight aluminum, with an anodized surface to resist corrosion. Their 20mm size is a nice addition for those wanting to fine tune their wheel fitment. With hardened bolts, they’re solid units that, when tightened correctly, will last a lifetime. CustomMadeOnly offers one of the rarer sizes for the 350z, 30mm wheel spacers (1.2” instead of 1” thickness like 25mm). They’re made of billet aluminum, and are left in machined silver instead of anodized like the others here. When you see these in person you’ll know they mean business. Tolerances are near perfect and they are solid. If you’re planning track time, these are the spacers to use. Like some of the others here, the bolts in these spacers are long, so depending on what wheels you are running you might also need to buy new lug nuts or trim down the spacer’s bolts. Another option in the 20mm (0.8 inch) range, is these spacers from Zhenyang Auto Parts. You’d be correct in assuming that’s a Chinese brand. They’re CNC machined from aluminum, making them lightweight yet durable. They’re available in both black and machined silver. Something important to note though, these spacers won’t fit your OEM wheels, as your factory studs might extend past the surface of the wheel spacers. In that case, you’ll need to either a) shorten the factory studs, or b) purchase a set of shorter studs. Frankly, there are better options if you’re rocking OEM wheels, but if not – they’re cheap and quality. Let’s be straight: the best wheel spacers for your 350z will depend on how thick you need them to be, and how flush you’d like your wheels to sit near your fenders. Generally speaking, you want Nissan 350z wheel spacers that are well made, reliable, and praised by users. But, if you’re here to find the right 350z wheel spacers for stock wheels, you’re almost definitely going to want StanceMagic spacers in 25mm (1 inch) for the front wheels and 50mm (2 inches) on the rear. Think we missed the mark? If you know of some awesome 350z wheel spacers we’ve forgotten, let us know below in the comments.